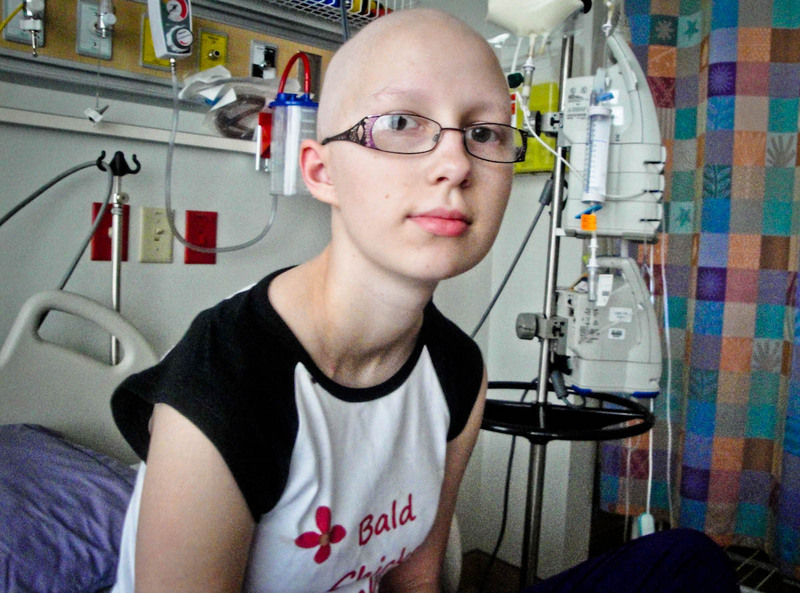 Childhood cancer is the number one killing disease of children. It claims the lives of more children each year than AIDS, asthma, cystic fibrosis and diabetes combined, and in number of potential years lost is second only to breast cancer yet only 4% of the National Cancer Institute’s budget is slated for childhood cancer. The Canadian Cancer Society gives 2.4% of it’s research dollars for all childhood cancers. The potential market is too small to attract big pharmacies. Awareness is the key to better treatments and even a cure. I started knitting shortly before Bronwyn was born. I love knitting. I love making things from practically nothing. I know the magic of sticks and string. I love crocheting too but I’m not as good yet. I love fibre. I have taken it from sheep to wheel to needles to hat. So this is me, doing my bit as the mom of a kid with a cancer diagnosis. My dream is to create a collection of patterns knit and crocheted in gold to spread awareness of the disease that will leave 98% of its survivors, including my daughter, with at least one chronic illness. It won’t cure cancer but its what I can do and I must do what I can. Do you enjoy knit or crochet design? Would you consider designing a pattern in gold? Are you an indie dyer? Would you consider creating a gold yarn or fibre to create awareness? If so let me know. Join me in doing what we can to change the future for children like my Bronwyn, AML survivor, chemo induced cardiomyopathy survivor waiting to be put on the transplant list so she can get a new heart and move on with life. Who we are: The Mom: me, Kellie Huffman. This is my blog I started to chronicle my journey to increase childhood cancer awareness. The Dad: Barry, my husband and foundation. A computer programer, runner and fantastic cook. Sinead: our oldest daughter. Creative, quirky and one of a kind. Ontario scholar who just graduated from high school and is taking a year off before going on to higher education. My never-ending source of pride. Bronwyn: our other daughter. Highland dancer, curler, temperate, loyal and my hero. She inspires me to do better, be better. She is the kid in the center of our crazy cancer journey. treatment for cancer. I will check back to see if we can offer some help to your group. We are currently starting our summer hat drive. Thanks, Jay. We are looking for knitters and crocheters to make one of 4 hats in our collection of patterns to be mailed to celebrities who will be asked to tweet a picture of themselves in the hat this September for Childhood Cancer Awareness month. If you know of any knitters or crocheters who would like to help please have them contact me at redplaid@shaw.ca.